Looking for a way to discover new music online in a Twitter style format? Today we take a look at Blip.fm which lets you share and discover music and socialize with other users who enjoy similar artists and groups. Blip.fm is a music discovery and social network which could be described as a cross between Twitter, Last.fm, and the late Muxtape as it contains elements of elements of all three. 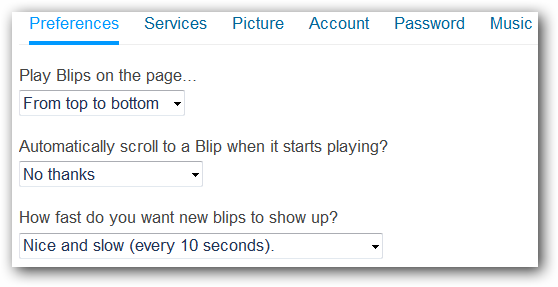 A “blip” on Blip.fm is a way to share a song and accompany a short message under 150 characters, like a tweet in Twitter. 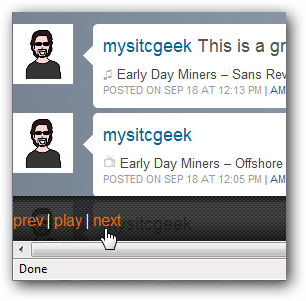 You can also create your own playlist and listen to other user’s playlists as well. After creating an account, on the main page enter in an artist, band, or song you want to listen to then search. 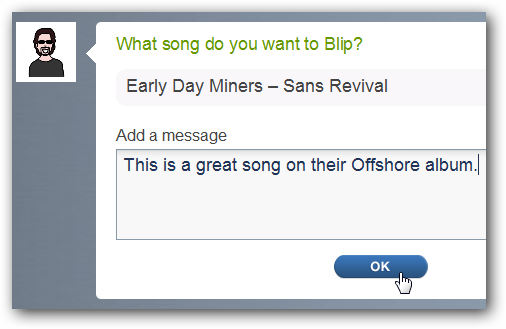 You can then preview the songs and if you like it then “blip” it. When you blip a song you can choose to add a short message to it much in the same way you would “tweet” someone. Add songs that you enjoy to your playlist. After blipping a song you will be shown other users who enjoy the same or similar music and can check out their playlists. Periodically you will also be shown a link to where you can purchase a song or entire album from an artist. 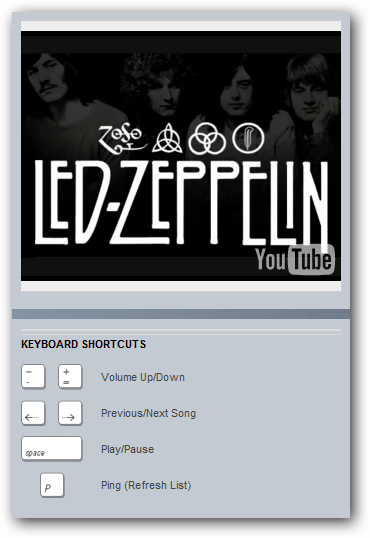 While playing a song or video you they have some easy to use keyboard shortcuts you can use to navigate the tracks, control volume, and playback. 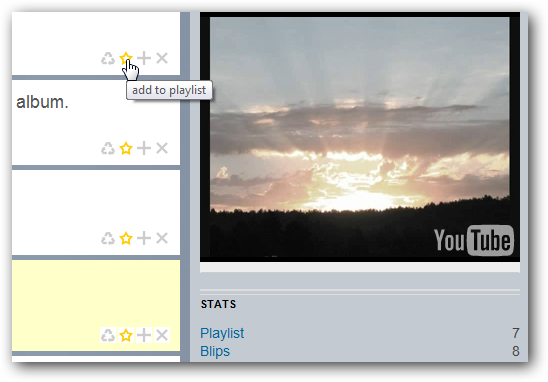 There is also a toolbar at the bottom of the page you can use to navigate your playlist. 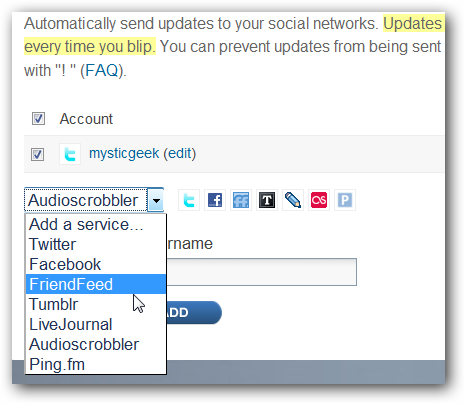 It will update what your listening to on other social networks like Twitter, Facebook, Last.FM etc. Of course there area also other personal settings you can control in your profile. Blip.fm isn’t perfect yet, there are still a lot of features that could be included, and sometimes the song selections are limited, but it is still a ton of fun and a great concept. Check them out at the link below and if you enjoy rock and metal like yours truly, hook up with me on blip.